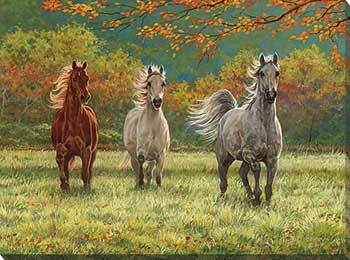 Few passions rival that of a horse enthusiast. 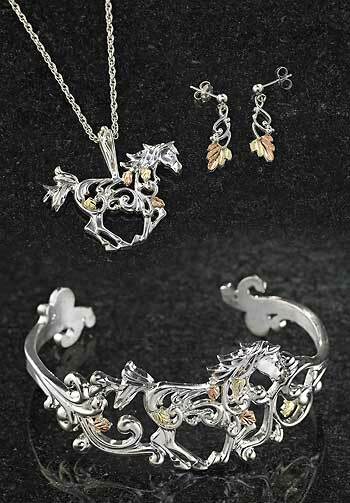 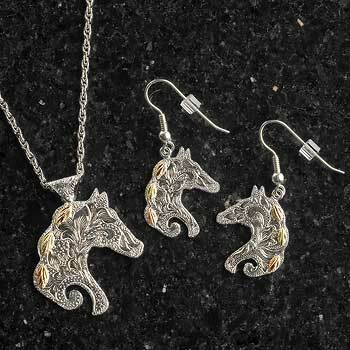 Our extensive and unique selection of gifts for horse lovers offers a broad variety of ideas and items, all celebrating the timeless relationship between horse lovers and their horses. 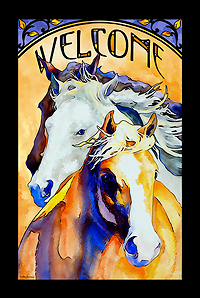 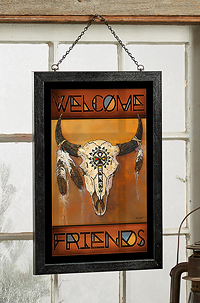 Choose from over 200 different horse prints from over twenty different artists offered in a number of different configurations, including framed originals, unframed prints, prints with various framing options and wrapped canvases. 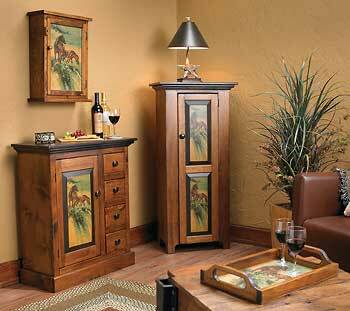 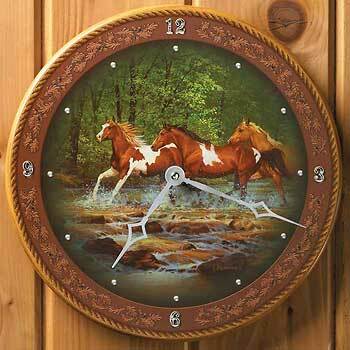 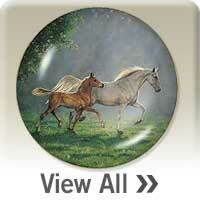 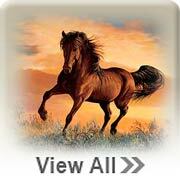 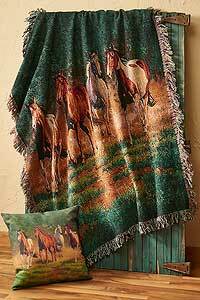 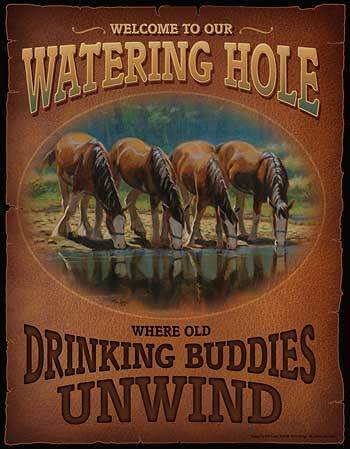 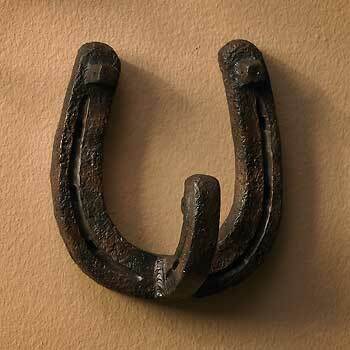 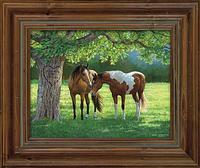 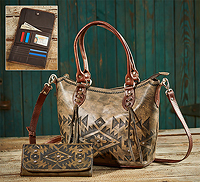 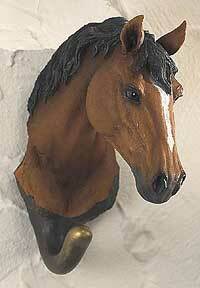 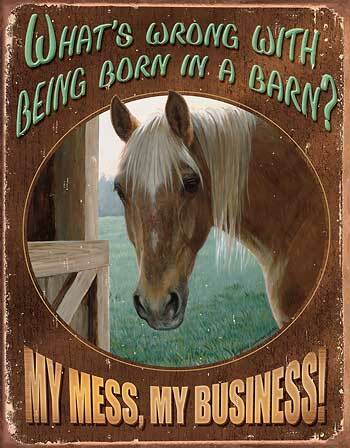 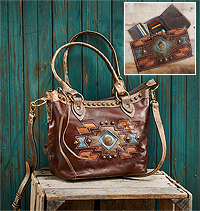 You're sure to find a horse print for your horse lover that matches their home or cabin decor and passions. 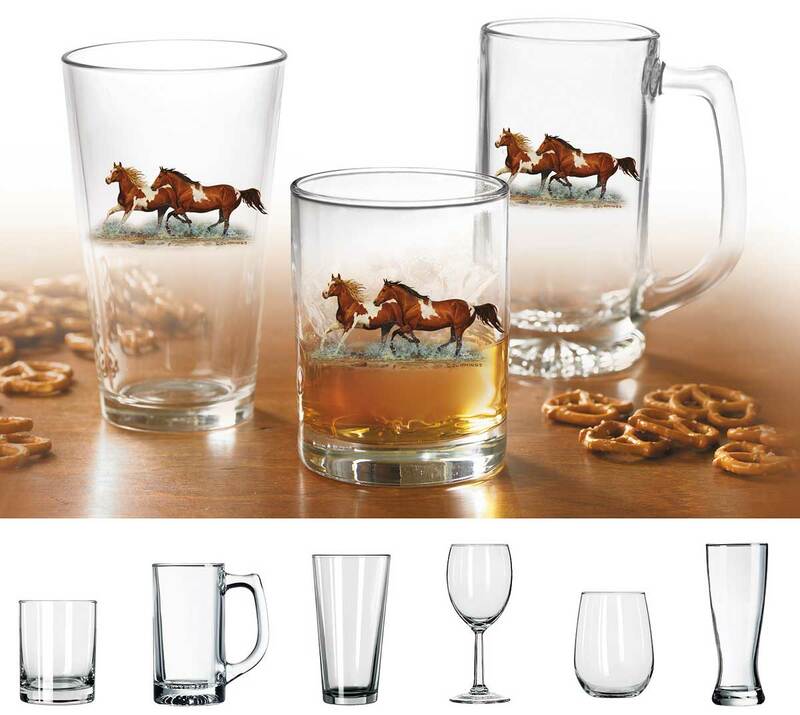 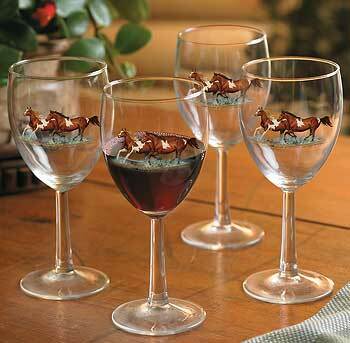 Along with our extensive selection of artwork, find the perfect complement in a variety of other gifts for horse lovers, including glassware, dinnerware, lighting fixtures, furniture, apparel and jewelry and more!